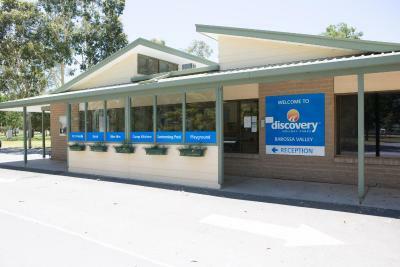 Lock in a great price for Discovery Parks – Barossa Valley – rated 8.7 by recent guests! The facilities are great. The room was super clean and the pools are very nice, specially for the kids. I would recommend other accommodation types in this park but not the deluxe safari tent accommodation. It is definitely not value for money. Great facilities, the shower was amazing and the water park kept the kids entertained. The room had everything to make our stay comfortable. 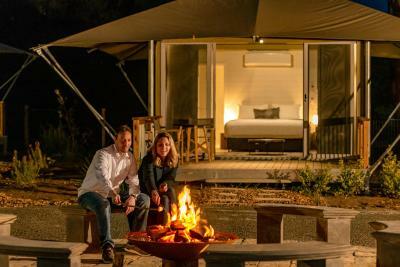 Getting price of $90 per safari tent was excellent value. Wouldn’t pay $200+ per night but at the discounted rate was great. Fantastic location and private pool and common facilities (for the 12 tents) was awesome. Loved waking up to the sound of various birds. Lovely park, short walk to town. Plenty of blankets, comfortable couch and bed. Staff very friendly. 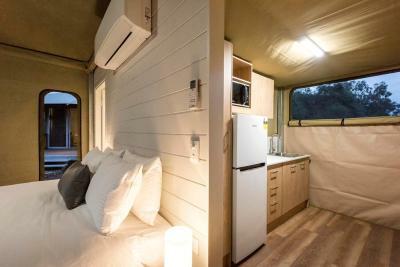 Discovery Parks – Barossa Valley This rating is a reflection of how the property compares to the industry standard when it comes to price, facilities and services available. It's based on a self-evaluation by the property. Use this rating to help choose your stay! Located in the heart of the Barossa Valley wine region, just a 2-minute drive from Tanunda town center, Discovery Parks – Barossa Valley features an outdoor pool, conference facilities and an inflatable trampoline. 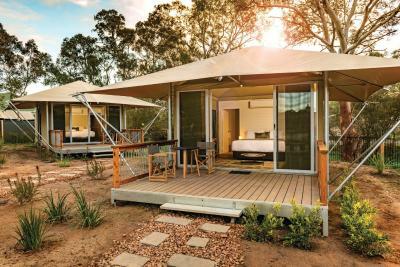 Guests staying at Discovery Parks – Barossa Valley can spend their days exploring the surrounding wineries including Turkey Flat Vineyard and Peter Lehmann Wines, both within a 6-minute drive away. There are a variety of free standing accommodations types on offer including villas, cabins and studios. All include a kitchenette, flat-screen TV, and air-conditioning. Some include laundry facilities. Guests have access to a shared lounge area, children’s playground, barbecue facilities and a games room with billiards. You can ask the tour desk for information on the region. When would you like to stay at Discovery Parks – Barossa Valley? This larger villa features a kitchenette, laundry facilities and a seating area with a flat-screen TV and a DVD player. This villa features a kitchenette, laundry facilities and a seating area with a flat-screen TV and a DVD player. This villa features a kitchenette and a seating area with a flat-screen TV and a DVD player. This cabin features a kitchenette and a seating area with a flat-screen TV and a DVD player. This studio includes air-conditioning, a kitchenette and a seating area with a flat-screen TV. 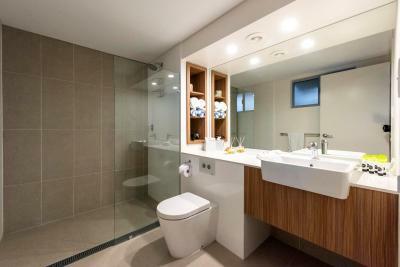 It also includes access to shared bathroom facilities. This family room features a private entrance, electric kettle and kitchenette. This apartment has a balcony, private entrance and CD player. This family room has a balcony, kitchenware and flat-screen TV. 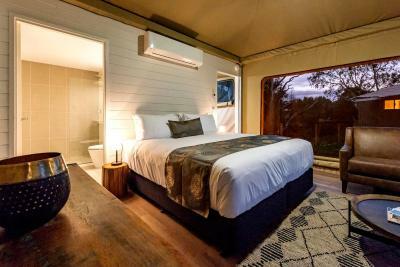 This Safari Tent is located in the adults-only section of the property and features a balcony, dining area and private entrance. Please note guests under 18 years of age cannot be accommodated in this room type. 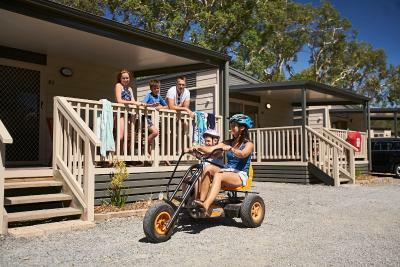 House Rules Discovery Parks – Barossa Valley takes special requests – add in the next step! Discovery Parks – Barossa Valley accepts these cards and reserves the right to temporarily hold an amount prior to arrival. Please note guests under 18 years of age cannot be accommodated in the Safari Tent room type. Please inform Discovery Parks – Barossa Valley of your expected arrival time in advance. You can use the Special Requests box when booking, or contact the property directly using the contact details in your confirmation. Cabin was supposed to be superior and accomodate 4 people, there was only 1 bedroom and the second bed was a sofa bed in the kitchenette, very odd, as it is there was only 2 of us but it was cramped I expected 2 beds one to chuck all our stuff in. The bathroom floor in the corners and along the skirting was filthy, the sofa looked dirty didn’t sit on it, and bedroom carpet was the same. I think it was very overpriced for what is was. It was our first visit, after seeing the new cabins I wished I had booked one of those. Maybe throw in an extra blanket due to change of season, was a little chilly. Water park was amazing but the water was super cold. Wish it was temperature controlled so kids could enjoy the water park more. Kids had fun at water park but it was too short due to cold water. This is not a bad review but our observation. Room was clean and beds were very cosy. Didn't want to get out of bed from our nights slumber. Nicely renovated room. We took the superior room. Kids loved the water park, bouncing balloon and go kart driving around the property. We were pleasantly surprised with this cabin. It felt more like a hotel suite. The location was very convenient, being walking distance from the town and the pick up location for our wine tour. We had a very enjoyable stay! I was able to look online, get a fantastic rate. The staff at check were warm and welcoming.